Planning to outsource non-core tasks? Don’t make these 3 mistakes! Business outsource – Outsourcing is part and parcel of running a business. This is particularly true if your venture is steadily growing and you and your staff can no longer keep up with each and every activity. Many entrepreneurs delegate their activities to the first service provider they see. Some of them do so because they become blinded by the company’s claims, while others are too tired or busy to do their own diligence. But don’t commit the same error; remember that not all contractors are made equal, which means that there are firms who offer poor services and/or sky-high rates. Signing an unbreakable contract isn’t a problem if you’ve found a skilful, experienced and talented person or organisation who can bring your business closer to success. But what if you didn’t do your research and have ended up with an undependable company with too-pricey rates? By going into a binding agreement, you’ll be stuck with a firm who’ll just waste your money and might even jeopardise your venture. With these in mind, make sure to avoid long-term commitments as much as you can. When looking for telephone answering service, for example, find a reputable and reliable company who won’t lock you into a binding contract. By doing this, you’ll have peace of mind knowing you can easily leave whenever you want to and can do so without paying a huge cancellation fee. Of course, don’t just stop there. As much as possible, search for a firm who doesn’t charge monthly management fees and who offers flexible call answering plans. This way, you can easily pick a telephone answering service package that perfectly suits your needs and avoid spending more than what you have to. 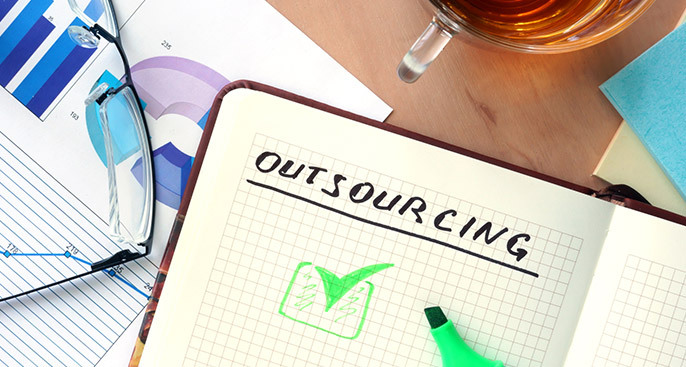 When outsourcing business tasks, it can be tempting to hand everything over and let them do their job. But don’t give in to the temptation; after all, it’s your venture, so you have to be involved in every step of the way and ensure everything is done according to your standards. When hiring a bookkeeper, for instance, don’t just pick someone who’s knowledgeable in financial matters. Instead, look for a company who can explain every single detail to you in layman’s terms and help you gain a deeper understanding of what it’s like to balance your books. You won’t become an expert overnight, but you’ll at least know what’s going on in the financial side of your business. Avoid these mistakes and ensure your venture can grow to its fullest potential! Our keen and professional approach to help businesses grow means we work closely with you to build a strong and trustworthy relationship as your finances and payroll are an important and confidential part of your business. PENSIONS: Are you ready for auto enrolment? Error (go to Settings > Twitter Feed Auth to resolve this): Twitter said: "Invalid or expired token." Contact us and arrange your free consultation with our friendly team.